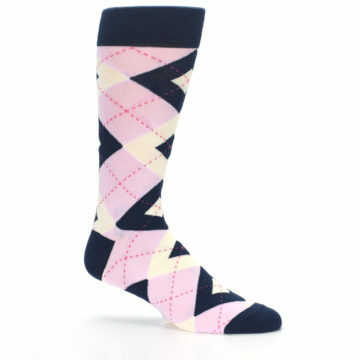 Similar to the popular 1996 Tickle Me Elmo toy, these tickled pink socks have grown adults all over the globe fighting over them. 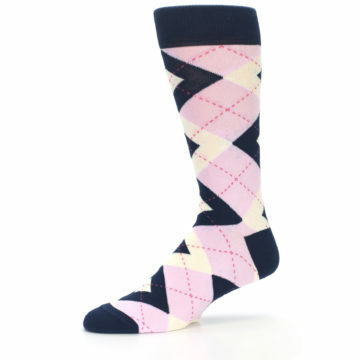 Navy paired with candy pink on these argyle socks make them one of the most sought-after wedding socks and dress socks, so order them now while we still have them. 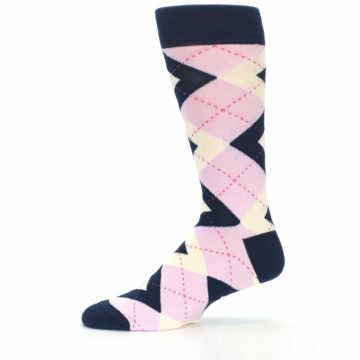 Please note that these will not, in fact, giggle when squeezed. 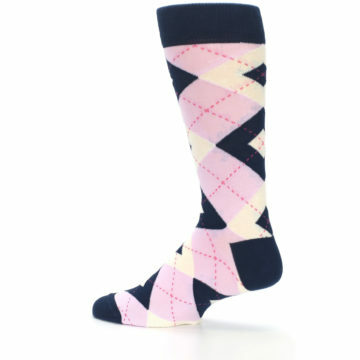 Want to take it one step further? 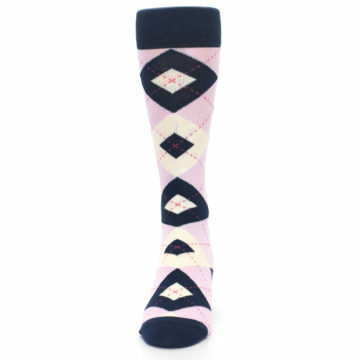 Add a monogram, date or short message for personalized socks that make your outfit and occasion that much more memorable. 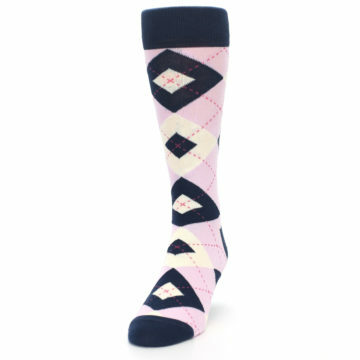 These candy pink groomsmen socks are a great match to the candy pink dresses from popular wedding stores. 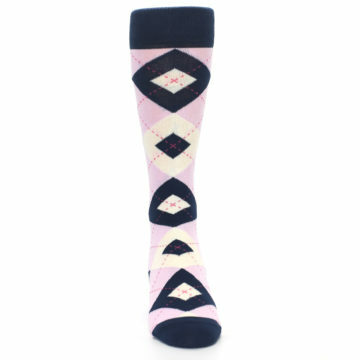 Candy is a exciting, vibrant pink that looks as sweet as it sounds, making it great for a warm summer wedding. 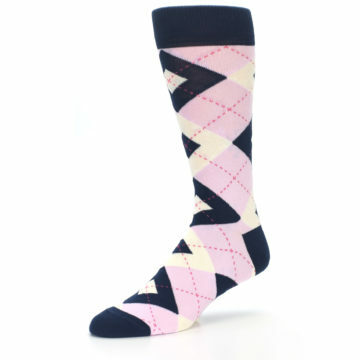 These navy blue groomsmen socks are a great match to the navy dresses from popular wedding stores. Navy is a dark blue that pairs well with just about any accent color, making it the perfect shade for weddings in any season. 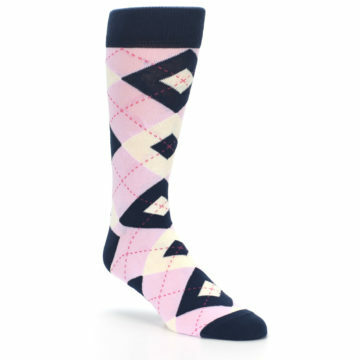 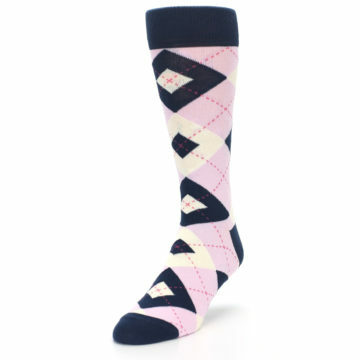 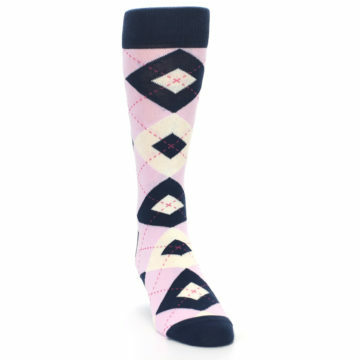 There are not yet any reviews for Candy Tickled Pink Navy Argyle Wedding Groomsmen Men's Dress Socks.